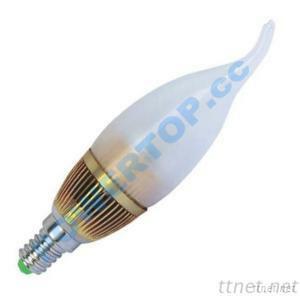 This is 3W LED candle bulb can replace 25W incandescent bulb. It's a good choice for chandelier, wall lights or other decorative lighting. It saves your cost to replace bulbs on superior limit. 6. Environmental protection: No UV, infrared, thermal radiation, mercury pollution and lead, completely recyclable. chandeliers, candelabra, wall lighting, decorative lighting and other fixtures etc.